Thala Ajith ’s upcoming venture Viswasam is one of the most anticipated films in the Tamil industry. The masala entertainer, which went on floors in May this year, is currently progressing at a good speed. Reportedly, the actor is currently shooting for some important action sequences, which will be a treat for all Thala fans. Viswasam will also bring together Ajith and Nayanthara after more than five years. It marks the fourth collaboration between Ajith and director Siva after crackling hits like Vedhalam, Veeram and Vivegam. Apparently, Ajith will be sporting two different looks in the film and it seems like the makers are trying hard to keep them a secret. The film also stars Vivekh, Thambi Ramaiah, Yogi Babu, Bose Venkat and Kovai Sarala in pivotal roles. Earlier the Viswasan was scheduled to release this year in Diwali but the now the makers have pushed it to Pongal 2019. Ajith Kumar was last seen in Vivegam, where he played the leader of an anti-terrorist squad. The movie also starred Kajal Aggarwal, Vivek Oberoi, Akshara Haasan. It was one of the most important films of 2017. 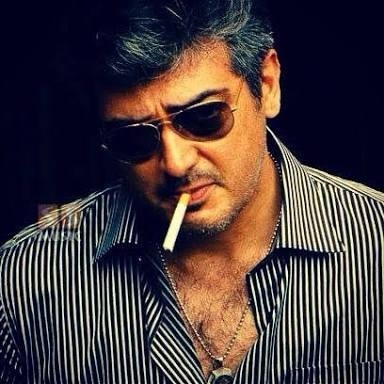 Ajith went through strenuous prep for his role. He went through a drastic transformation. For the first time, he sported abs. Also, for those who didn’t know, He went through a surgery after this film. Monobina From Gold -Akshay Kumar & Mouni Roy ‘s jazz song has a beautiful old-world charm to it. Karan Johar ‘s Takht OR Kalank Which Movie are you looking forward To ? जीवन के लिए प्रेरणादायक फिल्म ‘बुधिया सिंह- बॉर्न टू रन’ ! रणबीर को नहीं पड़ता फर्क कैटरीना और आदित्य की दोस्ती से! Virender Sehwag – Endorses Ayurveda and Positive Healing!